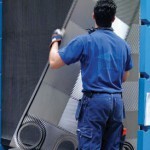 Sol-Tech srl Solution Technology, in addition to supplying the heat exchangers that best suit your requirements, are also in a position to provide a specialist maintenance service for the plate heat exchangers used in various systems and supply spare parts for all the main exchanger manufacturers. Sol-Tech srl Solution Technology, in addition to supplying the heat exchangers that best suit your requirements, are also in a position to provide a specialist maintenance service for the plate heat exchangers used in the systems and supply spare parts for all the main exchanger manufacturers including Tranter, Swep, Reheat e Jucker, Alfa Laval, Gea, Apv, Sondex, Schmidt Bretten etc for a truly Multi brand service; among the available parts we even have the control units with the hydraulic pistons for the fastening of the exchangers and the control units for CIP cleaning devices. 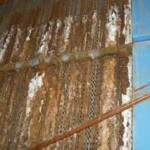 Maintenance is essential for plate heat exchangers if one wishes to maintain a high energy yield from the systems. At Sol-Tech srl Solution Technology we provide both a regular preventive and scheduled maintenance service as well as special maintenance services. The quality maintenance services is guaranteed by our long standing experience acquired working for major industrial groups in various sectors and on a number of different process applications. 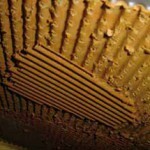 A regular and preventive maintenance of the plate heat exchangers can extend the useful life of the exchangers and ensure their high level of performance over time. 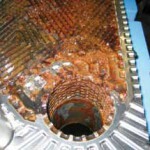 What’s more a proper regular maintenance in the long run also means saving money, seeing as the cost of ordinary and constant maintenance is certainly less compared to the costs involved in sudden and unforeseen exchanger breakdowns often caused by a lack of regular maintenance; these breakdowns and these damages often entail either the total replacement of the exchangers or very costly special maintenance operations. 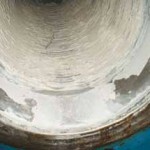 Sol-Tech Srl Solution Technology offers companies the opportunity of programming a regular maintenance plan involving scheduled assessment of the exchangers and their operating conditions. In some instances, if the exchangers or some of their components are in a particularly critical conditions, special maintenance operations need performing. Even in this case Sol-Tech srl Solution Technology is in a position to provide a quality service and all the necessary know-how to solve the problems that require special maintenance operations. The maintenance operations on heat exchangers can be of various kinds and can be performed both at the company site or at our own premises. We here provide a list of a few of them. If your exchanger plates are so dirty they cannot be regenerated on site, Sol-Tech srl Solution Technology offers a service which includes the collection and transportation of the plates to be cleaned to its service centres. Every single plate is inspected and checked; thanks to our database we check the original project conditions, we check each single plate gasket and contact point and verify if any corrosion or erosion has taken place. Once this first inspection stage has been performed, we then decide the appropriate cleaning treatment that your exchanger requires. That’s why it is essential to keep the plates clean. In our service centres we carry out a number of different cleaning cycles based on how the exchanger operates, using environmentally non-polluting substances. After a first cleaning cycle, the plates undergo further basic and/or acidic cleaning cycles depending on the type of dirt they are covered in and the material the plate is made out of. At these end of the cleaning cycles, the plates are 100% visually inspected and a check is also made using penetrating vegetable-based liquids to highlight any cracks or punctures that cannot be detected by the naked eye. 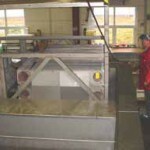 A further rinsing procedure is then performed to remove the residue of the penetrating liquid from the plate surfaces. 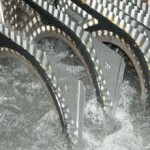 The gaskets on heat exchangers age and replacing them before they get too worn means avoiding leaks and significant damage, and therefore over time achieving a considerable saving of time and costs. 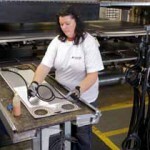 With our maintenance service, all the plates are regasketed with high quality gaskets and then glued back with a special non-hardening component in compliance with the original gasket specifications, which enables us to avoid further thermal treatments such as vulcanisation, which is any case available on request or for particular types of gasket. Our special glueing method facilitates subsequent maintenance operations performed on the system. 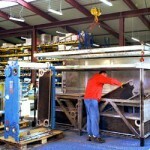 During our regasketing operations, we take great care over the materials of the gaskets we use, their size and their quality, making sure they are compatible with the process fluids, the type and material of the plates used in the exchanger and the technical specifications, such as pressure levels for which the exchanger was designed. 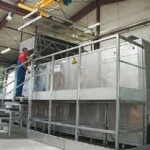 With our service we can also regenerate just the plate package for each exchanger,by replacing the plate package to be regenerated with a new one installed in the same frame which will then be replaced once again by the freshly regenerated plate package; in this way the exchanger will always have a perfectly functional plate package without any interruption of operations. On request Sol-Tech Solution srl Technology also offers its Client’s a daily maintenance training program for the company’s technical personnel on the heat exchangers used in the system, so that the company can become independent in the maintenance of its exchangers, which can mean significant savings. Last but not least, the premises where we carry out our regeneration processes is certified and all waste produced by the plant or found in the exchangers sent to us are all disposed of by specialised and certified waste disposal companies. The idea being that we wish to provide our clients with the top level of professional conduct and efficiency, seeing as both the owner and the supplier are jointly responsible for any pollution damage caused by maintenance work on exchangers. To take advantage of our maintenance services, or to receive information on the spare parts available at our specialised centres, you may contact us using the form contact us or by calling 348 6925260.